Beautiful combination of nature and heritage, very friendly and helpful staff. This hostel is only available to book for YHA Exclusive Hire and Groups. YHA Ironbridge Coalbrookdale is located within the Ironbridge Gorge World Heritage Site, home to 10 family friendly museums, littered with industrial archaeology and brimming with tea rooms, pubs and eateries. The Youth Hostel is housed in a converted grade 2 listed building. Walk to the hands-on science attraction Enginuity and visit the Blast Furnace where Abraham Darby’s new method of smelting iron sparked the Industrial Revolution. This groups-only hostel is ideal for school trips, sporting and social groups. Ground floor: two accessible en-suite interconnected single rooms. The impressive hostel is surrounded by well-tended grounds and includes original flooring, and plans for decorations and local pictures inside - a friendly place to stay for any group of people! First floor: 38 beds in eight rooms, all en-suite, two with showers, room sizes 2-8 beds. Second Floor: 34 beds in nine rooms, seven en-suite, room sizes 2-8 beds. Families and individuals visiting the area can stay at Ironbridge Coalport three miles away. Pets: Pets are not permitted at YHA Ironbridge Coalbrookdale. Assistance dogs are welcome. 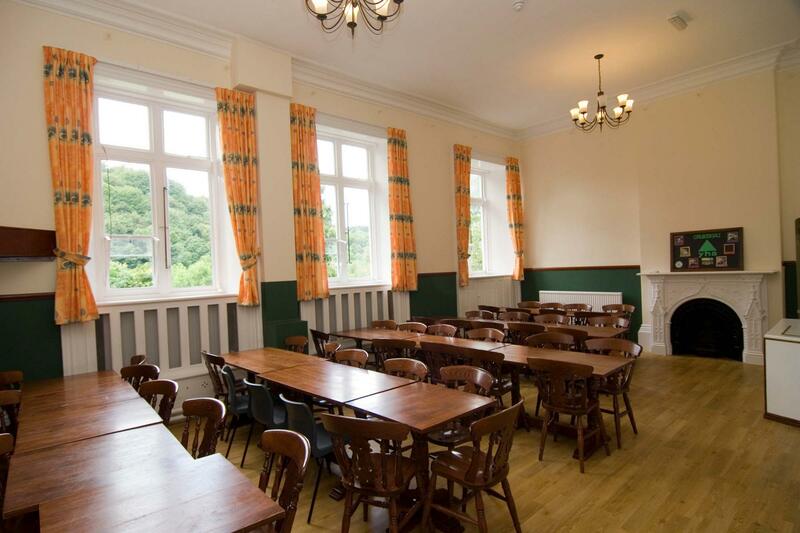 Invite all your family and friends along to YHA Ironbridge Coalbrookdale and hire out the whole property for yourself. To do so please visit our YHA Exclusive Hire website. Open for group bookings all weekends of the year. YHA Ironbridge Coalbrookdale is a groups-only hostel set in the Ironbridge Gorge World Heritage Site, making it perfect for a learning-based school trip. 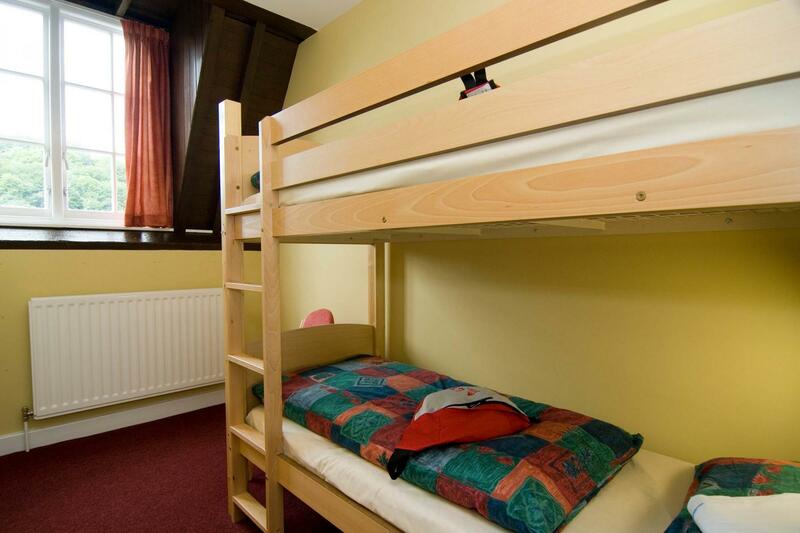 The hostel provides up to 74 beds, group catering and classroom facilities. Housed in an iconic local building, the former Literary and Scientific Institute, built with funds from the Coalbrookdale Company in the 1850s, this building has seen it all. From its original users who were honing their creative skills for use in design and decoration for the Coalbrookdale Company, to evacuees in the second world war, and its use as a book stack for the local library, ownership by the local council for adult education courses, and finally to its conversion to a Youth Hostel in 1980. By 1785 the Coalbrookdale district had become the foremost industrial area in the world. It was particularly celebrated for its innovations: the first iron bridge, the first iron boat, the first iron rails and the first steam locomotive. Tourists came from far and wide to see the sights, and artists came to paint it all - furnaces lighting up the night sky was a favourite subject. Penny Ellis - "I've been with YHA since 2001, worked at several different hostels, working my way up from team member through the catering operation, to deputy manager and finally becoming manager in 2011. I enjoy exploring the local area, on foot or by bike. Although the walks I like are more the exploring with tea shop stops and pub lunches than the 15 mile hikes! I have two toddlers so am well clued up on where’s good for young children. I've lived in the area since 2004 and am still discovering new things!" Manager recommends: This Gorge offers so much, but from Coalbrookdale you must take a walk and step back in time at Blists Hill Victorian Town. A walk into Ironbridge for a well earned drink on the banks of the River Severn finishes off a perfect day.